In Julie Kagawa’s groundbreaking modern fantasy series, dragons walk among us in human form. Long ago, dragons were hunted to near extinction by the Order of St. George, a legendary society of dragon slayers. Hiding in human form and growing their numbers in secret, the dragons of Talon have become strong and cunning, and they’re positioned to take over the world with humans none the wiser. Ember and Dante Hill are the only sister and brother known to dragonkind. Trained to infiltrate society, Ember wants to live the teen experience and enjoy a summer of freedom before taking her destined place in Talon. But destiny is a matter of perspective, and a rogue dragon will soon challenge everything Ember has been taught. As Ember struggles to accept her future, she and her brother are hunted by the Order of St. George. Soldier Garret Xavier Sebastian has a mission to seek and destroy all dragons, and Talon’s newest recruits in particular. But he cannot kill unless he is certain he has found his prey—and nothing is certain about Ember Hill. Faced with Ember’s bravery, confidence, and all-too-human desires, Garret begins to question everything that the order has ingrained in him—and what he might be willing to give up to find the truth about dragons. 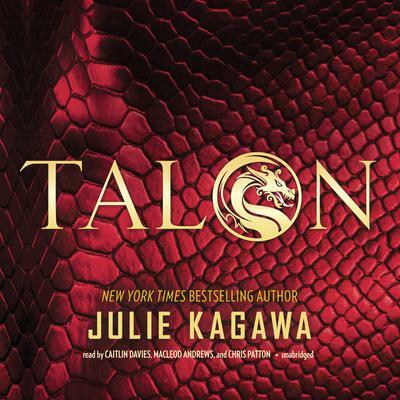 In Julie Kagawa’s groundbreaking modern fantasy series, dragons walk among us in human form. Soldier Garret Xavier Sebastian has a mission to seek and destroy all dragons, and Talon’s newest recruits in particular. But he cannot kill unless he is certain he has found his prey—and nothing is certain about Ember Hill. Faced with Ember’s bravery, confidence, and all-too-human desires, Garret begins to question everything that the order has ingrained in him—and what he might be willing to give up to find the truth about dragons.